Graham Soloman recently acquired a literary agent using firstwriter.com's database of literary agents. We asked him about his writing, and how he found success. fw: Thank you for taking the time to talk to us, Graham, and congratulations on having secured an agent for your book.What is your book called, and what is it about? GS: An Ordinary Person (The Secret life of businessman and Assassin). As the title says it is about a businessmen who leads a double life, one as a respectable businessman and the other as an assassin. He decides to take one last "job", which he does but then meets a new love. Is she going to stand by him when she finds out what he does, or is she a plant? Can the main character, Peter Fletcher, get away with this crime and with this new love or does she betray him? fw: How did you come up with the story? GS: The book started out as some of my personal experiences over the years in business. I decided to add a fictional storyline to make it more appealing. fw: Had you done any writing before? GS: This is my first attempt at writing and something I have found to be most enjoyable. I have now written the sequel to An Ordinary Person – it is some 85,000 words so far and I should have first draft ready to be proof read in the next few weeks. I also have three more novels in mind to write as well. fw: How long did it take to write? Review 1: When i started reading this book, i literally didn't put it down from the moment i started it. It interfered with my whole day! Everyone needs to read it. brilliant... kept me hooked all the way through, and not many books do that! Review 5: I enjoyed reading your material; I think you have a fun book here, with the assassination of a world leader, and I was impressed by the book. fw: How did the search for a literary agent go? GS: A lot of agents are very picky in what they want to take on but you have to keep plugging away at it. As someone once said to me – you can put 100 people in a room and ask them an opinion of something and you will get 100 different opinions. So to anyone out there who gets refusal after refusal, don’t get disheartened keep chipping away at it. fw: What approach did you take to your search? GS: I made direct contact with agents and publishers who were taking on the genre my book was about direct by mail, fax and email. It is time consuming but it works. You have to be persistent. fw: And you found firstwriter.com's database of literary agents to be instrumental in your success? GS: Yes – without it I would not have got an agent in my view. fw: How long did you spend searching for an agent before you got one? GS: I approached hundreds and it has taken me over 18 months to get an agent. fw: I guess you received plenty of rejections, then? GS: Yes, there were a lot of rejections: some rather rude in their reply and others very polite. I would get many saying "well written but not for us" and others who just did not answer and some who were just rude in their reply. You have to be thick skinned and take the rejections and not get put off by them. fw: Which agency signed you? GS: The McSill Agency in Brazil and the United Kingdom. fw: What do you think was the reason you succeeded in securing this agent? GS: They are a new agency and looking for good new material, and as I have Portuguese connections that helped as well. fw: What's it like having an agent? Is it all high-powered meetings in New York?! GS: No meetings in New York yet, but it does feel good to be recognised. They are to find a publisher and get my book out in volume to the work market. The book is to be translated into Portuguese and Spanish – apart from English they are in the top 10 languages spoken worldwide. fw: Do you have any general tips or advice for other writers trying to get an agent? GS: Yes simple – don’t get disheartened by the rejections – keep going. fw: So what happens now? GS: The agency will sort the publisher out, plus I have the sequel almost finished and three other books in mind to write. fw: Thanks again for taking the time to talk to us, Graham, and the best of luck with all your future endeavours! 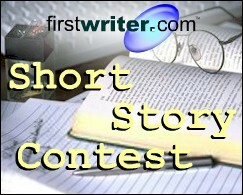 Do you have a short story to enter in firstwriter.com's Eighth International Short Story Contest? If so, this could be your last chance – there are now just a few days before the the competition closes on May 1, 2012. The winner of the competition will receive a cash prize of £200, or the equivalent in your currency (that's around $400). Not only that, but there will also be ten special commendations awarded. All eleven winners will be published in firstwriter.magazine and receive firstwriter.com vouchers worth $36 / £24 / EUR36. These vouchers are enough to cover the cost of creating an annual subscription to firstwriter.com, allowing access to our daily updated databases of over 130 writing competitions, over 850 literary agencies, over 1,300 book publishers, and over 1,500 magazines – as well as the option to receive daily alerts by email of new and updated listings which match your interests. The last edition of SAW poetry magazine was published in 2006. However, editor Colin Shaddick is planning to re-launch the magazine in early autumn 2012. He intends to publish work that is adventurous, imaginative, radical, multi-cultural and international in outlook; written by poets who are freethinking boundary breakers, unconcerned by cliques and trends. SAW welcomes submissions by email. Poems can either be printed in the body of the email, or sent as an attachment using Microsoft Word. Each page must include the author's name and address. There will be a maximum of 80 lines per poem – including the title and stanza breaks – allowed in all future submissions. Copyright remains with individual poets. 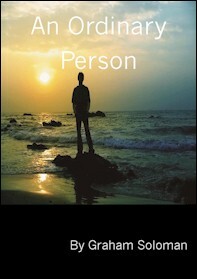 Contributing poets are welcome to send a brief personal biography, which may be edited into a Contributors' Notes section. There will be no payment, but contributors will receive a complimentary copy of the magazine in which their work appears. For the details of over 1,500 other magazines, click here. Several years ago, I didn't have a clue on how to become a published writer, and had no one to tell me how. The only thing that was certain was my passion for writing. It wasn't always easy for me because I hated doing the home work involved – but through trial and error it started happening and before you know it, my work was being published in hundreds of small press publications and local newspapers within a 100 mile radius. Here are several tips that will help you get started and hopefully help you become a published writer. Read. Read the type of material that you enjoy writing. Read anything and everything you can get your hands on – take notes. If you enjoy writing fiction, who is the main character in one of the stories or books you are reading? If it is suspense, in what sequence does the action take place? How is the author handling the plot? What about the sub plots and the ending? Make a mental check list of the action in the story and how it takes place. Use what you learned in your own writing and see how it turns out. Read top notch authors – read books by your favourite author – read and reread until you get the feel of "how" they write. a few. You might try these websites: Funds For Writers at http://www.fundsforwriters.com, firstwriter.com at https://www.firstwriter.com, and Worldwide Freelance Writer at http://www.worldwidefreelance.com. Read as many articles on writing that you can. Learn from writers who know about writing. Join a writers' group in your area. If there isn't one, feel free to join an online group or critique group or start a group in your own. Edit and rewrite when necessary. Find your writing tone, complete your story or article and set it aside a few days to let it cool off. When you read it with a fresh approach, you'll see mistakes that weren't visible before. Set it aside a few more days and start the editing and revising method over again. When you're done and absolutely sure it can't be edited any more, then rewrite it and get that completed manuscript ready to go out in the mail. Once you send out your manuscript, start working on another article or story – apply the same tips above to everything you write and chances are, you'll end up with several published credits to add to your writing resume. Good luck, and keep those manuscripts coming off the printer as often as possible. Marcella Simmons has many published credits and continues writing in her spare time. She publishes several travel websites and enjoys travelling and writing about it. She has just completed a mini reference guide for writers called The Basics of Writing, and Getting Published – it is available for $5 plus tax (US) – $7.95 plus tax (Canada & other countries). Write to Marcella at 2306 Old Mansfield Rd, Logansport LA 71049, United States.